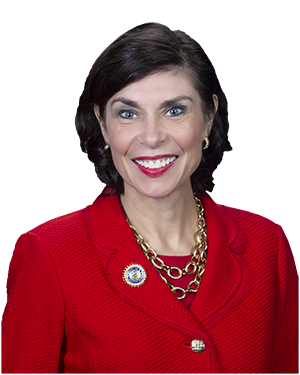 YORK – Eligible seniors and disabled individuals can now apply for the state’s Property Tax/Rent Rebate program, according to Senator Kristin Phillips-Hill (R-York). 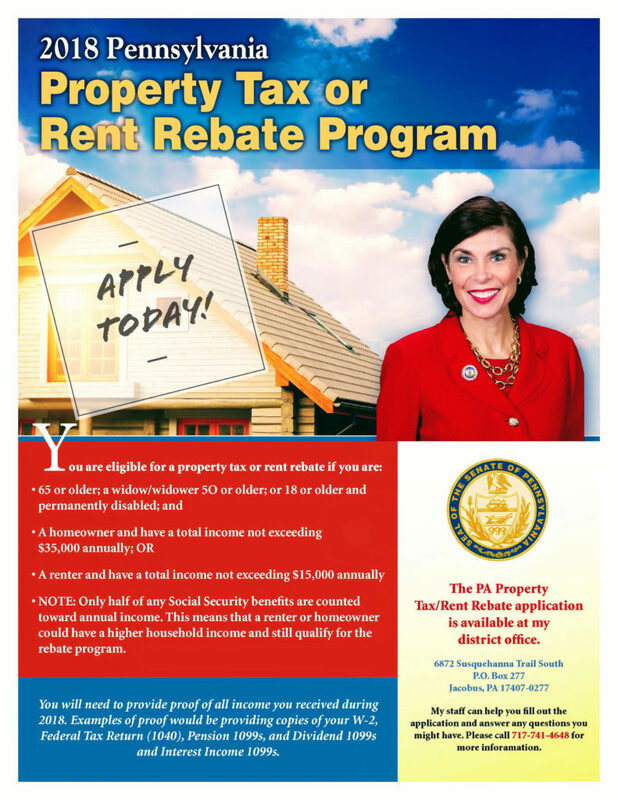 The Property Tax/Rent Rebate program provides rebates on property taxes or rent paid by senior citizens and disabled individuals in 2018. In order to be eligible, applicants must meet certain income requirements and be a Pennsylvania resident 65 years of age or older, a widow or widower age 50 or older, or a permanently disabled individual age 18 or older. “My office is ready to assist local residents with their applications,” Phillips-Hill said. The program is available to homeowners with a household income of $35,000 or less, and renters with a household income of $15,000 or less, excluding one-half of Social Security Income and Railroad Retirement Tier 1 benefits. Applications are available at Senator Phillips-Hill’s office at 6872 Susquehanna Trail South, York, or by calling 717-741-4648 between 9 a.m. and 4:30 p.m.
To obtain an application online as well as track your application, please visit the Department of Revenue’s website.